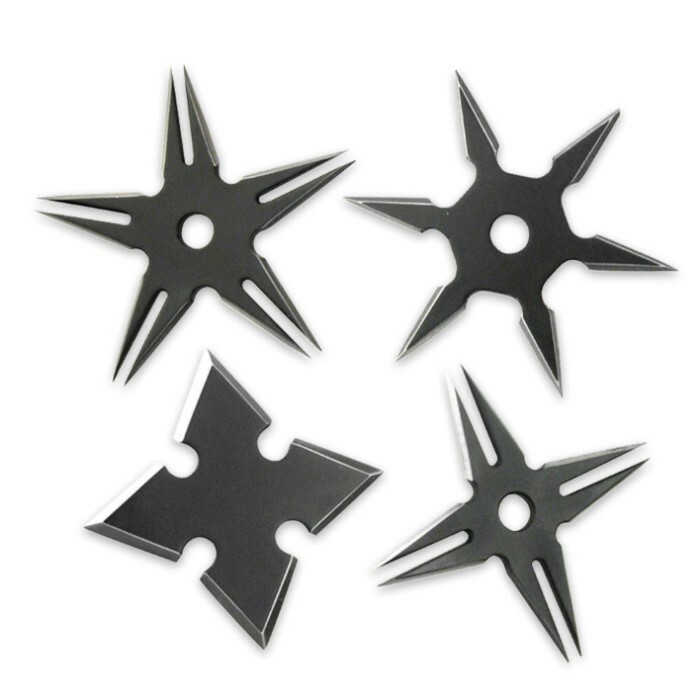 Ninja Warrior Throwing Stars, Set of 4 | BUDK.com - Knives & Swords At The Lowest Prices! This Winged Skull Long Sword is one fierce looking sword! Featuring a double-edged 440 stainless steel blade, this sword also offers a tribal design on the handle. A leather belt sheath that has been specifically designed for this sword completes this truly unique item.